Olives has recently been promoted at Impact 21 from his previous role. He brings deep expertise and skills in project management, IT organization, retail automation, process management, fuel management, convenience retail leadership, technical standards and interfaces, and legislative affairs. Impact 21, a retail consulting, analytics and services company, announced the promotion of Gabe Olives to Vice President of Emerging Technologies. Olives gained his extensive knowledge of technologies in both the retail and fuel businesses from his 30+ years in the convenience store industry, working with Turkey Hill and The Kroger Co. as well as serving in various state and national industry roles. Olives is a POS and payments expert in the convenience channel for technology, fuel management, legislative affairs, POS/BOS and payments. As a Principal Consultant with Impact 21, Olives applied his industry savvy to many projects. He was instrumental in leading a client through an accounting migration following the acquisition of retail sites, a refinery, and a commercial bakery/commissary. He assisted in the implementation of a multiparty logistics consolidation project for a major retailer, supported a major technology company in a successful new product introduction, and engaged in EMV planning, certification, and execution. Olives’ knowledge is an asset to the industry. Olives served on the Board of Directors of Pennsylvania Food Merchants Association and is Chairman of its Fuels Committee. He has been very active as an advocate for process improvement and technical standards, including many speaking engagements at NACS and Conexxus. Olives also served as Chairman of Conexxus in 2015 and on the Board of Directors of PCATS for many years and as its Chairman in 2009. In 2010, he was honored by CSN magazine as the Top Tech Executive of the Year. Olives’ background spans many aspects of the industry, including operations, marketing, and construction during his first ten years in convenience. He served as a senior executive at Turkey Hill Minit Markets, a best in class IT organization and division of the Kroger Company. While there, he was responsible for petroleum marketing and information technology. A self-described marketer with a passion for technology, Olives advanced Turkey Hill’s processes to support all aspects of retail automation and guided the organization through the transition to a private branded fuel operator. Additionally, he served in legislative affairs and in a senior position with Rutter’s for petroleum marketing. Over the years, he has worked closely with numerous solution providers in the convenience channel as either a retailer or as the only two-time Chairman of Conexxus formerly known as PCATS. 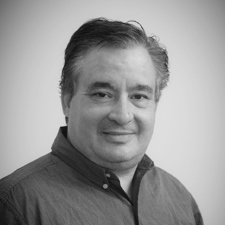 Gabe Olives is a POS and payments guru and an undeniable industry expert in the convenience channel for technology, fuel management, legislative affairs, POS/BOS and payments. Read more about Gabe here.